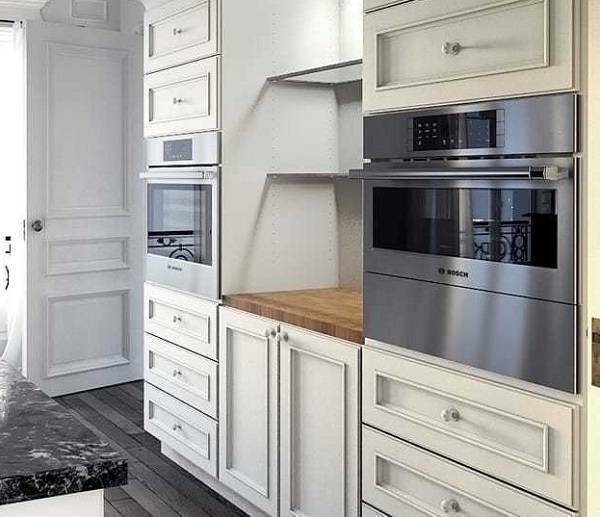 Nowadays, people think and find out the best kitchen feature that not only in that useful aspect to buying, but they also need a feature with unique and eye-catching design to complete their lovely kitchen decoration. 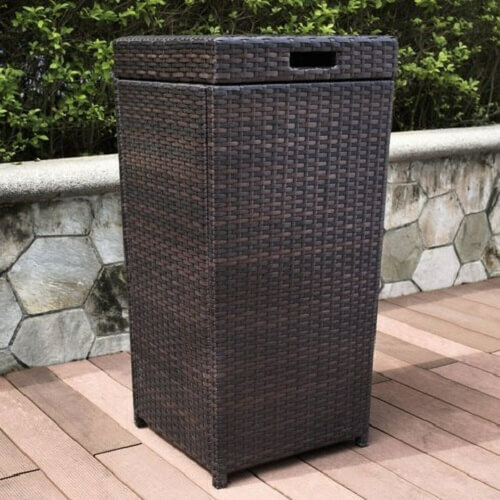 For example, a trash bin, perhaps we have to make something new for our kitchen like adding a unique and adorable trash bin. But a good one, it may be a wooden material. Garbage and trash containers are constructed of the fine and sturdy materials like wood, stainless steel, plastic, or other metals. But wood is always everyone’s favorite because it is natural and good for a long time of use. 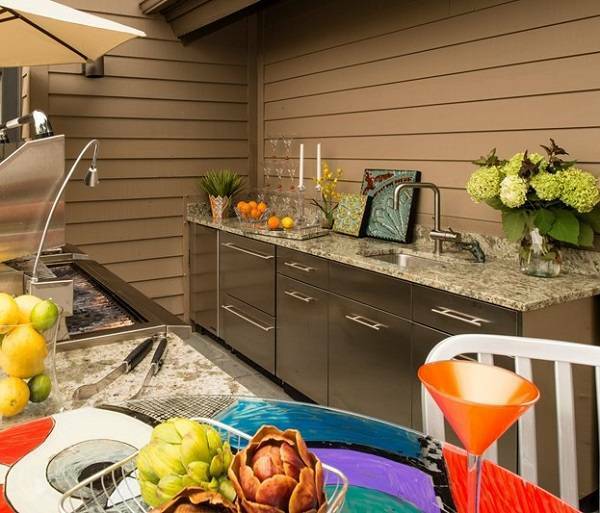 Some of them are camouflaged with beautiful stone materials, so you can use it as exterior decor too. If you do not like the wood material, just try to find a product that combines the wood material with the others. Here there are several cool and great trash bins to enhance your kitchen atmosphere, with different stunning looks, and various awesome styles. 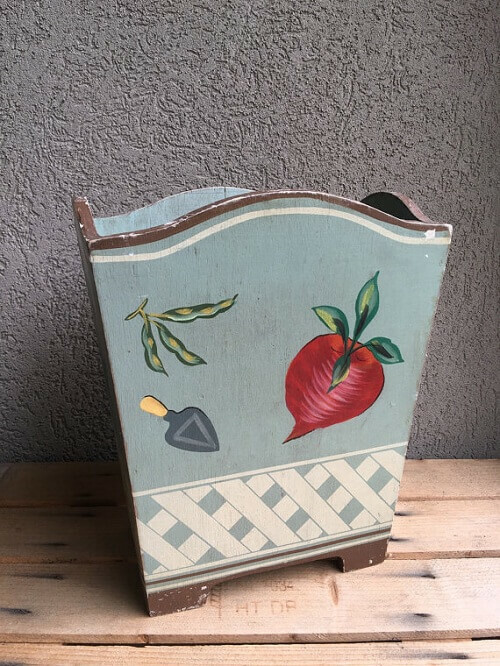 This great wooden trash planter or bin is completely perfect with the vintage style of the 1970s. The wood material looks very nice with a combination of cute little fences. A country farm with natural and clear brown wood make this thing so adorable. 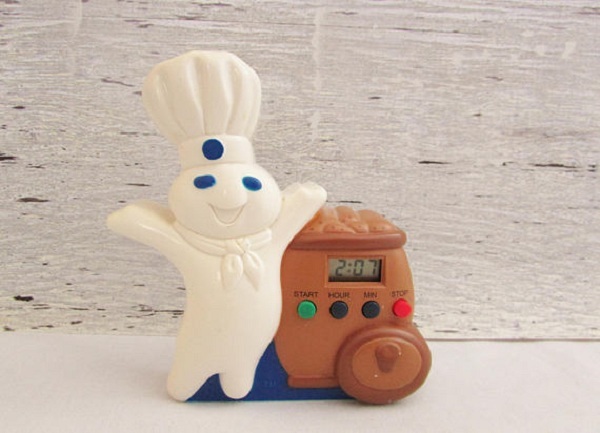 This is so cool to be placed in any corner in your kitchen. The measure about 9 inches across, 13 inches tall, on all sides. Awesome, fresh and classic, maybe these words are not enough to reflect this wooden kitchen trash bin. 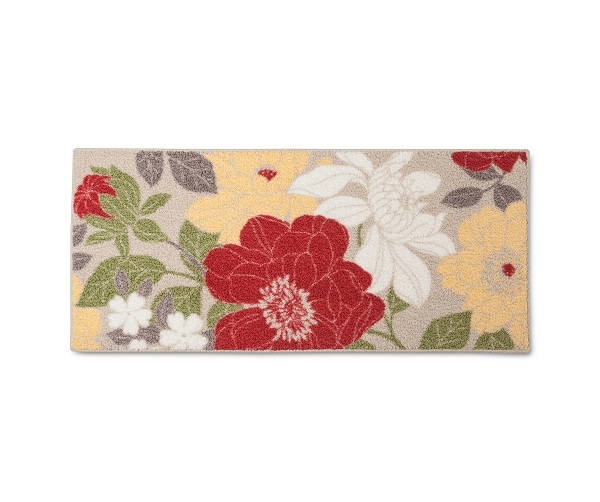 It has a vintage handpainted style and would be so nice if you want to put it in porch, garden room and especially in the kitchen. The primary color is blue, and the secondary is white. You have to know that even it is made of wood materials, but it is still light weight. 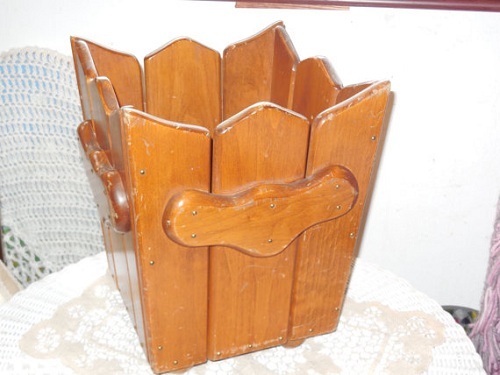 This vintage item has a good shape with 10.75″ tall, 9″ wide, 6.25″ deep. The look of this agapanthus trash bin is so gorgeous, with that pure white color of the background. There are beautiful violet flowers that complete every inch of its perfection. With the 22cm wide and 25cm high, it is even still nice for a tiny kitchen. 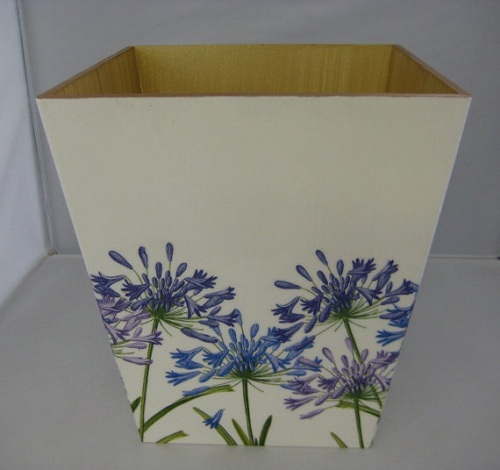 The materials of this trash bin are wood and decoupage and would look beautiful in any room. This is so epic, the natural red color as a background and the single yellow (mustard) star decor is seriously perfect. 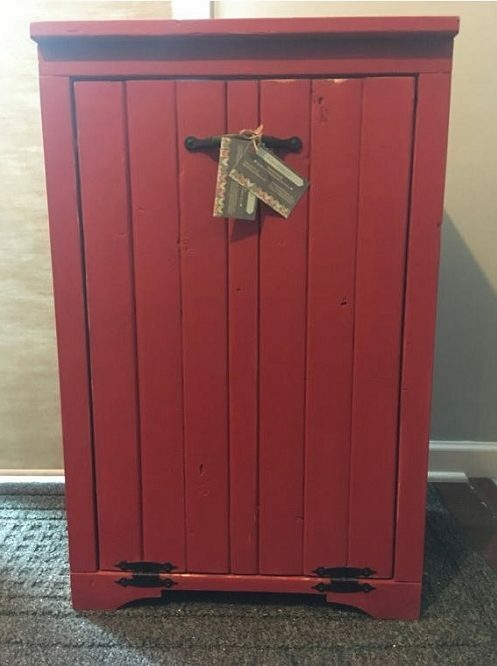 This awesome primitive trash bin is really suitable for a kitchen with colorful accents. It will be nice to be put in any corners of your room. The measure is about 34″ height x 13″ deep x 19.5″ width. At the first sight, you see this trash bin, you will think that this is made without wood material. But actually, it has some part of wood inside this product. 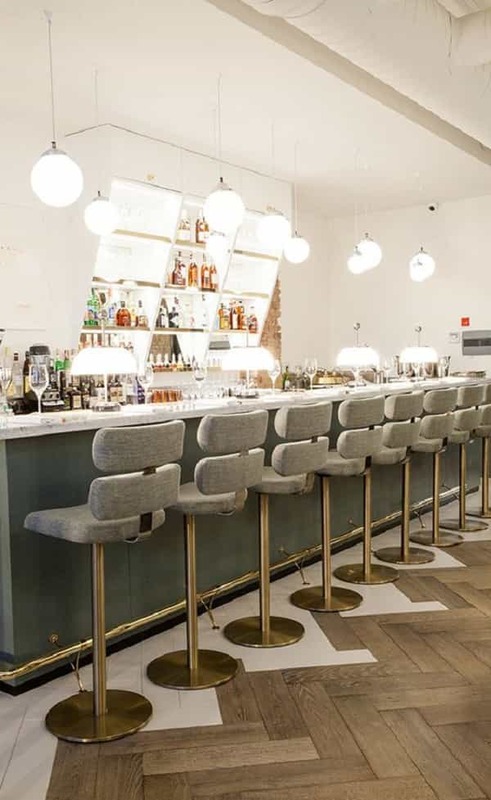 It has a stylish structural of design and sleek that complete the perfection. Wood is absolute material that can be mixed with the other materials to make it awesome and different. There is premium caliber steel that serves long lasting use and a good durability. Not only that but also this has many awesome features. The frame is protected by resin wicker and it is UV resistant. This gorgeous trash bin equipped a removable lid. And the brown color of this trash bin really awesome. We can also open the top of this trash bin manually. The look of this trash bin is gorgeous and classic, bringing the 1930s atmosphere to the room. 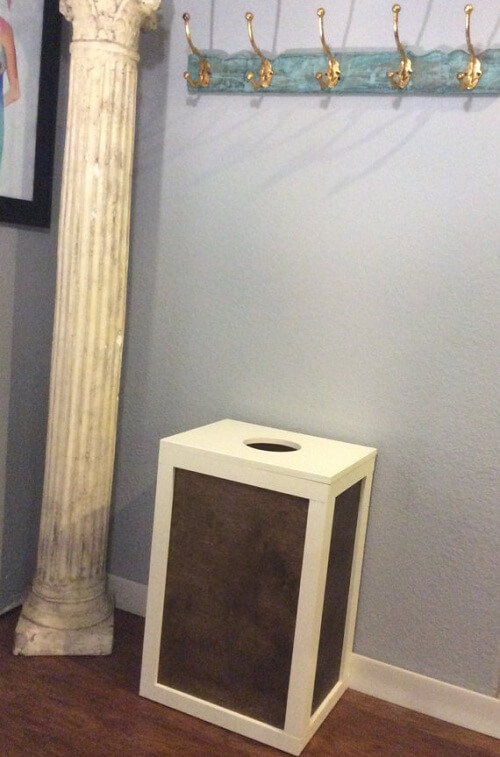 This vintage item has a wood material that makes this antique aspect of this trash bin rise up. 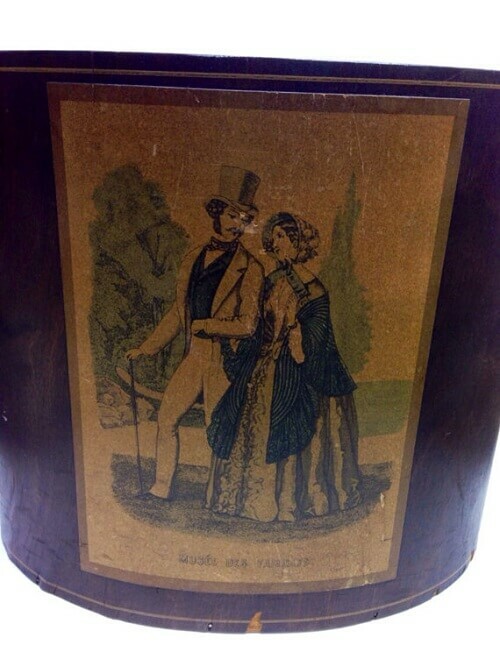 Moreover, this Victorian godey Bordeau is laminated in 8 x 12 height dimension. The design of this wooden trash bin is really fantastic and strong. The picture of a man with a wand on his arm that walking with a woman on a classic dress is completely awesome. For the tiny room or a big room, it doesn’t matter as long as you put this eye – catching trash bin near the items with the same classic theme. The next eye-catching trash bin of the list is the wooden tilt-out one. Look so simple and natural with that wooden surface in natural dark color. 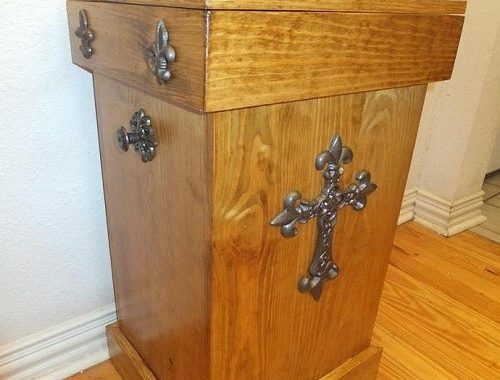 A rustic walnut stain of this product is paintable. 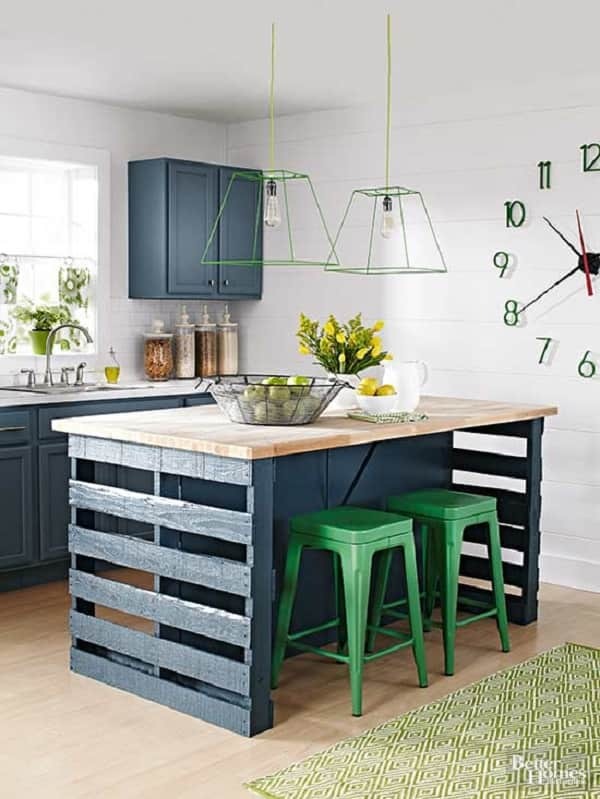 This is so strong and lightweight with solid pine and bead board panels. There is a nylon strap in this trash bin material to keep that front tilt hopper on this trash being tilted out too wide. 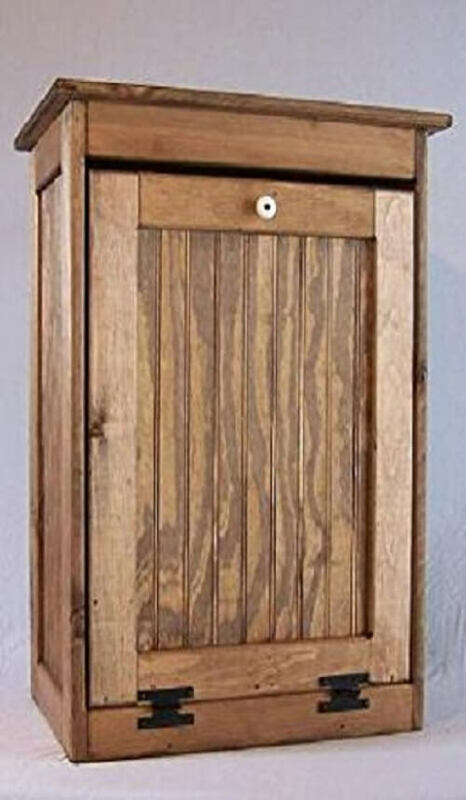 this wooden tilt-out trash also has a hinged lid on the top to throw away the rubbish from the top. You can use this wooden kitchen trash bin as a laundry bin too. If you like to have cream and brown colors combination for your home decoration, this wooden kitchen trash bin is perfect. This looks like big but actually lightweight, it also has hidden wheels bellow so you can easily move it. This unique wooden trash bin has around flip up and opening to easily remove it. Because of its height, this trash bin can fit a 13 – gallon laundry hampers or trash can. 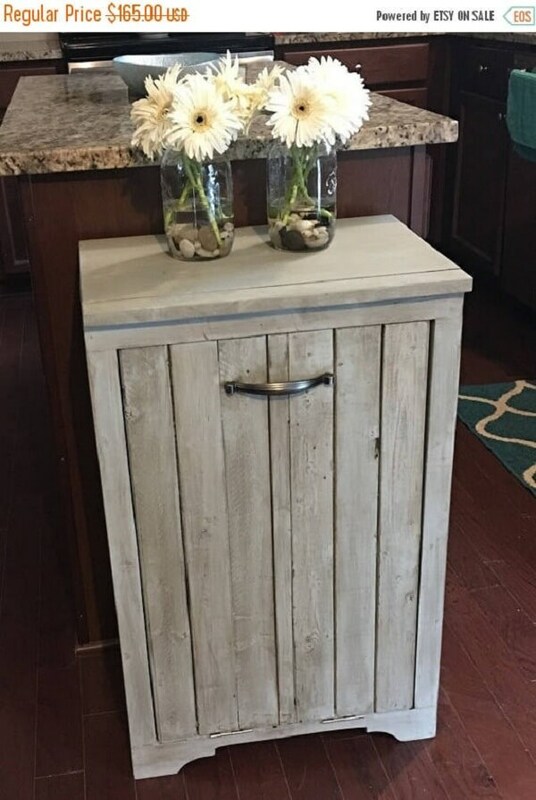 This custom built trash gives a beautiful addition to our kitchen area. It keeps the garbages out of the sight. 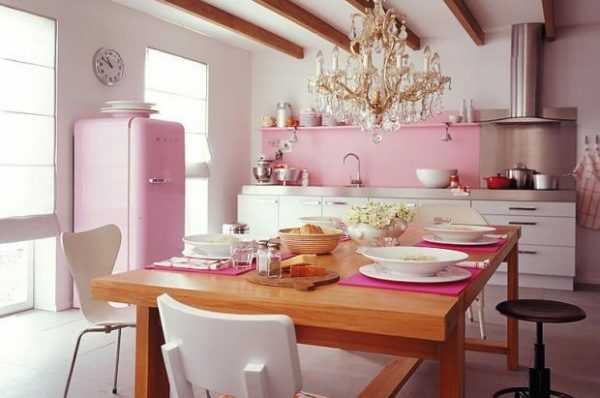 The pretty and gorgeous red color of this trash bin can make a new nuance and sensation for our kitchen decoration. The width is about 19″, the height is 30″, and for the depth is about 13.75″. The red color is a very contrast to all your kitchen decoration, and it can wake up our mood when having food preparation. Not only useful but also eye-catching as a kitchen trash bin. 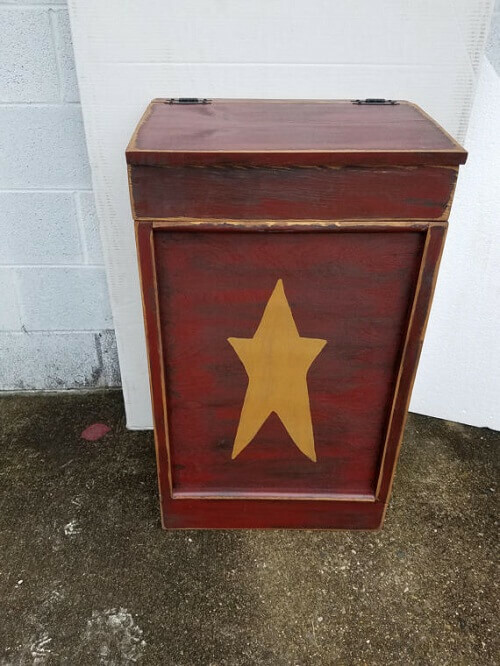 This wooden kitchen trash bin reflects the character of a captain America with that star on the side and top part. 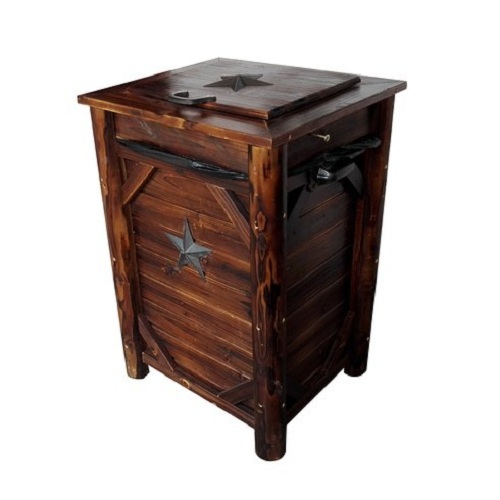 The glossy and dark brown color of this wooden trash bin is suitable to enhance your kitchen style. 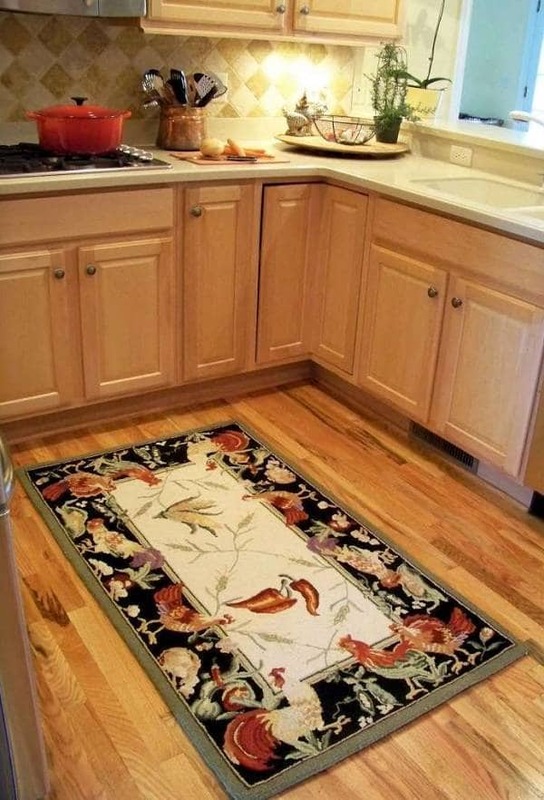 It will look so good if you put that in any corner of your kitchen. The size of this trash bin is big enough but not too much heavy to be moved. The overall product’s weight is 26.4lb. (for the height is 31.5″, the width is 20.7″, and the depth is about 17.9″). Almost every activity in your house can actually generate garbages that needs a big attention to solve and to clean it. Because they can give us bad impacts if we can’t manage them well. 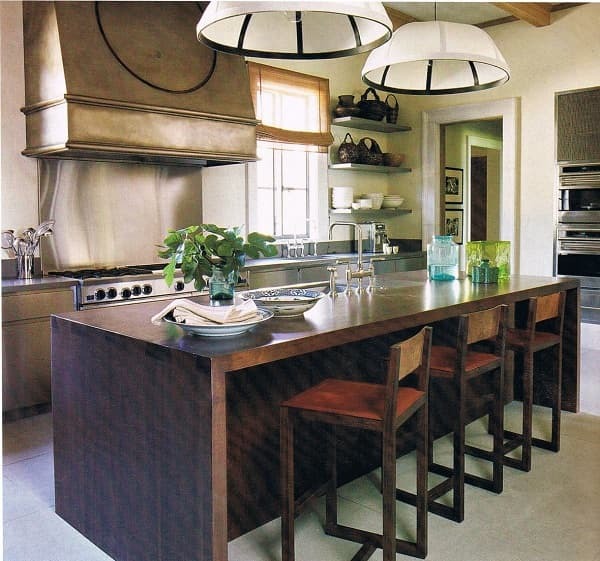 At home, the room that usually the dirtiest one is the kitchen, especially if we don’t take care of it well. 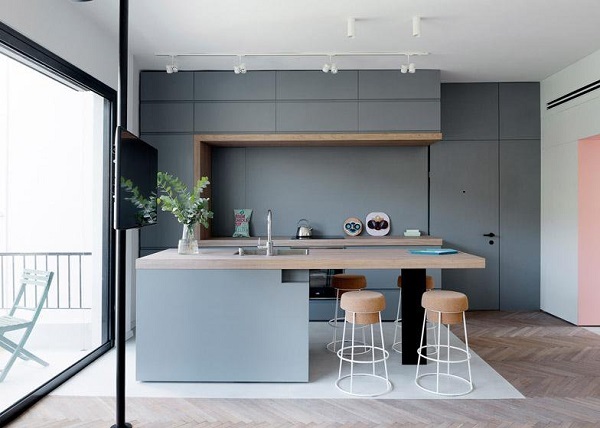 Placing a unique trash bin doesn’t only improve the kitchen’s style, but also add a useful feature. 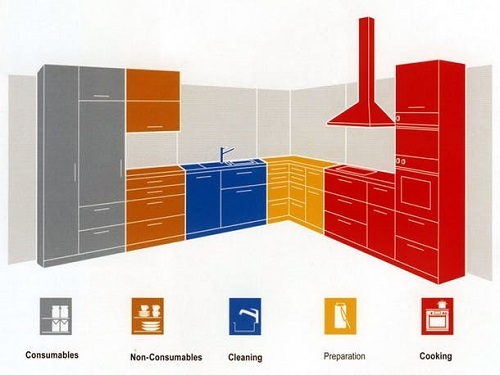 You can choose one of the products above to match with your kitchen style. The wooden material is also a good choice to make the room’s atmosphere more inviting. The prices of those wooden kitchen trash bin are very reasonable enough to buy.